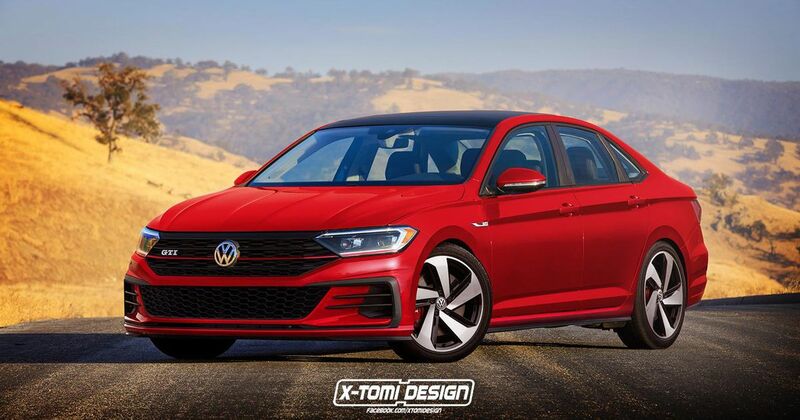 It’s only a couple of days since Volkswagen launched the new Jetta saloon for the US market, but while we know there’s a 210bhp but softly-sprung GLI model incoming, what about a GTI? We’ve featured plenty of renders from designer X-Tomi, and this is no disappointment. Bold, ‘bladed’ alloy wheels sit just beneath the arches of the imaginary hot saloon, while the black grille and vent strakes at the front are very America, right now. It also has a black roof, which is neat.